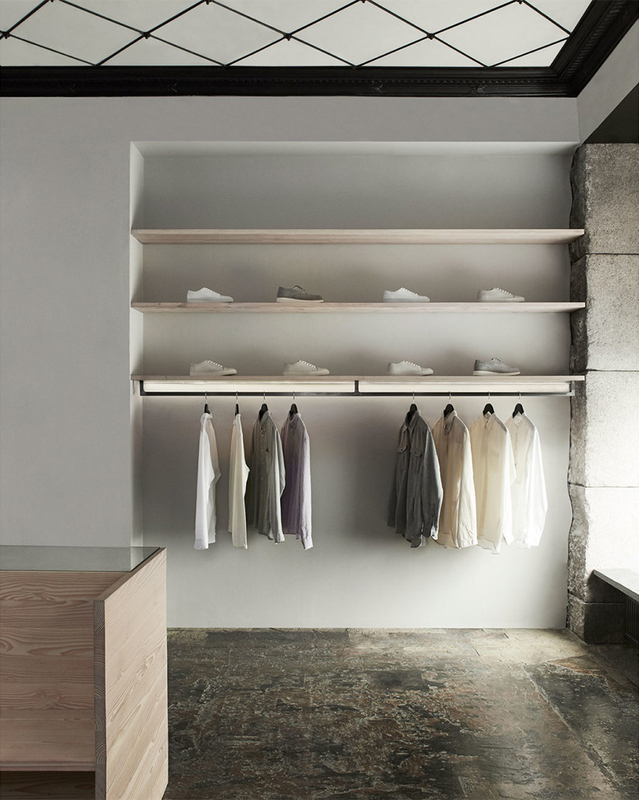 Frama does more than design shelving, lighting and interior accessories. 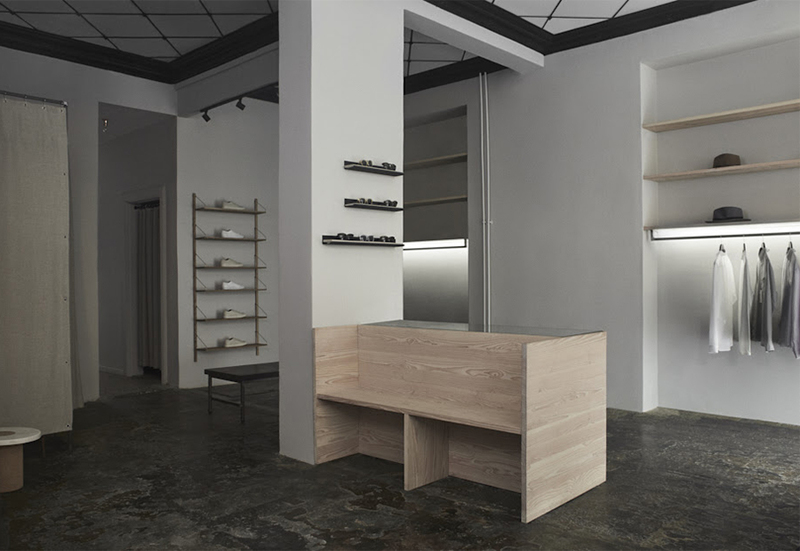 It's more than just an apothecary, a kitchen and store front, they also design for the interior architecture of commercial spaces as well. 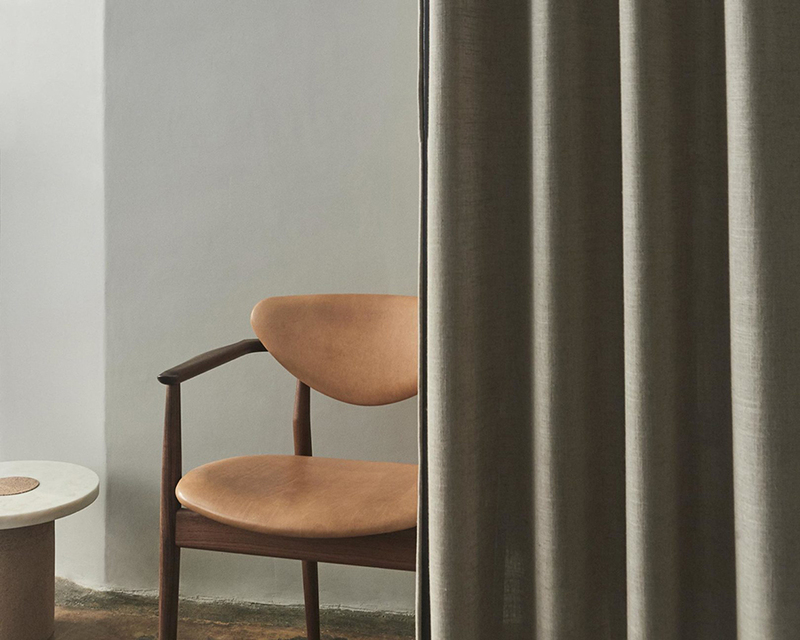 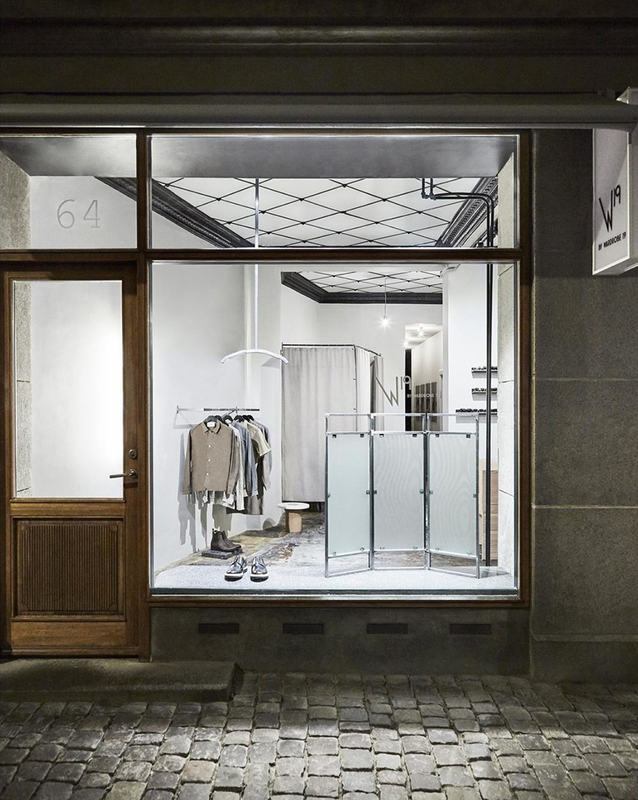 Take the Wardrobe 19 store at Istedgade 64 in Copenhagen for example, where custom countertops and shelving blends with preexisting products from their collection to create a unique, minimalist space for the menswear clothing and accessories. 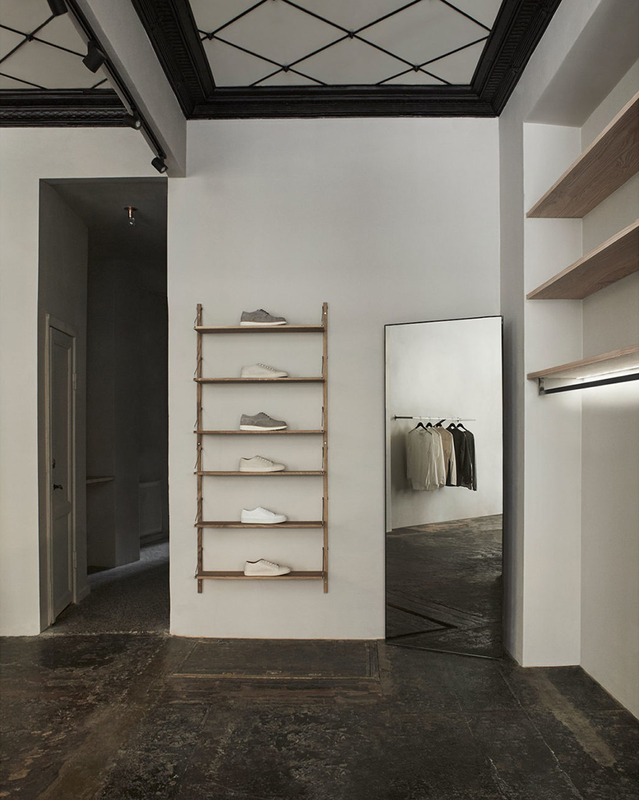 The exposed and rough concrete floor was left alone while walls and brick were painted white. 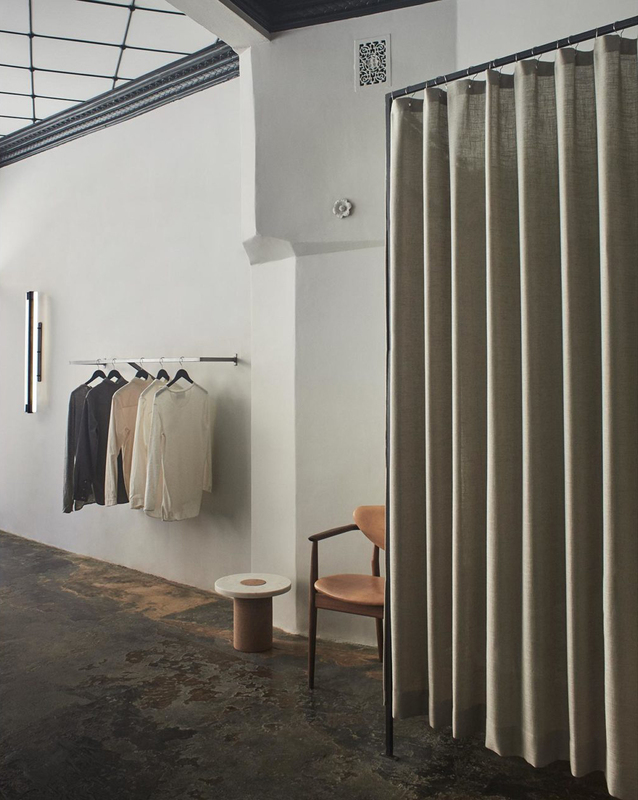 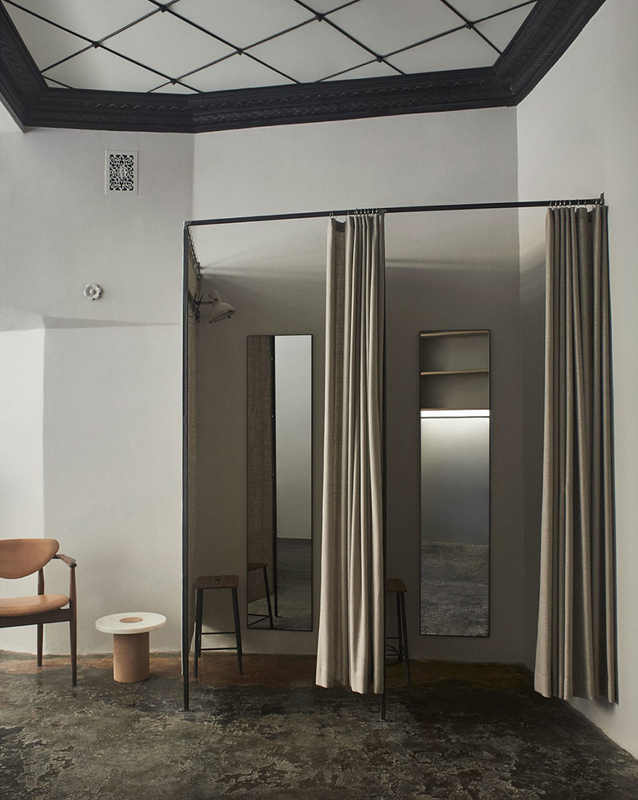 The result is a combination of soft fabric fitting room covers and Douglas Fir among concrete and original ceilings to give an inviting and pleasant experience to visitors.